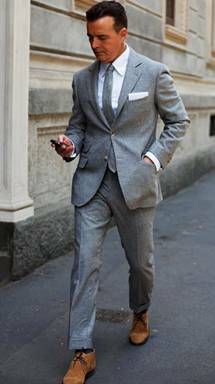 There is little question that the best dressed men are in Italy. If you walk around the Italian piazzas, in and out of coffee shops, you will see impeccably dressed men who understand how to dress in different fabrics for summer. 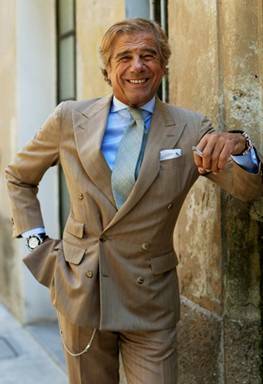 Italian men seem to naturally understand how to take a “soft” linen jacket and coordinate with other textures more so than our American wrinkle-free culture. Think about this, the “no-iron” look is found in almost every outlet mall and discount clothing chain throughout the US. It is really a common and unsophisticated look that doesn’t say much about one’s fashion sensibility. It is fine if your job is to fix the office computer or copy machine for a living, but if you are running the company or aspire to do so, we can take a little lesson from our Italian friends. The cloths of summer, such as linen, cotton, seersucker, silk, and my personal favorite, bamboo, should be embraced by your sartorial side and are certainly more sophisticated looking than a non-wrinkle shirt and pant combo. Let’s take linen for example. 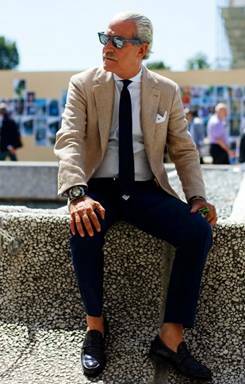 Italians wear 80% more linen than Americans because they understand it and know how to finish the look of a linen jacket with different pants and shirts to not only create an outfit that is stylish, but also cool and comfortable. Linen is made from the flax plant and is actually lighter than cotton. It draws moisture away from the body and is a welcome cloth of summer when the mercury and the humidity rises. The look of linen is best described as “soft” with all the crinkly wrinkles in the elbows. The trick is to dress in different textures, like the Italians. When wearing a coat made of linen, we recommend that you blend it with a shirt made of summer poplin and a pant made from a peached sueded cotton. This will give you the look of the “soft” linen with a natural looking, but well pressed, shirt and pant. Magnifico! Allow us to dress you for the summer and experience the Astor & Black difference. Our professional clothiers are available nationwide and come right to you in the convenience of your own home or office by appointment.